As part of the program of events to compliment Kate Scardifield’s exhibition ‘Soft Topologies’ at UTS Gallery, the artist has worked with UTS Fashion + Textile Honors students over a six-week project exploring the relationship between textiles, the body and architecture. 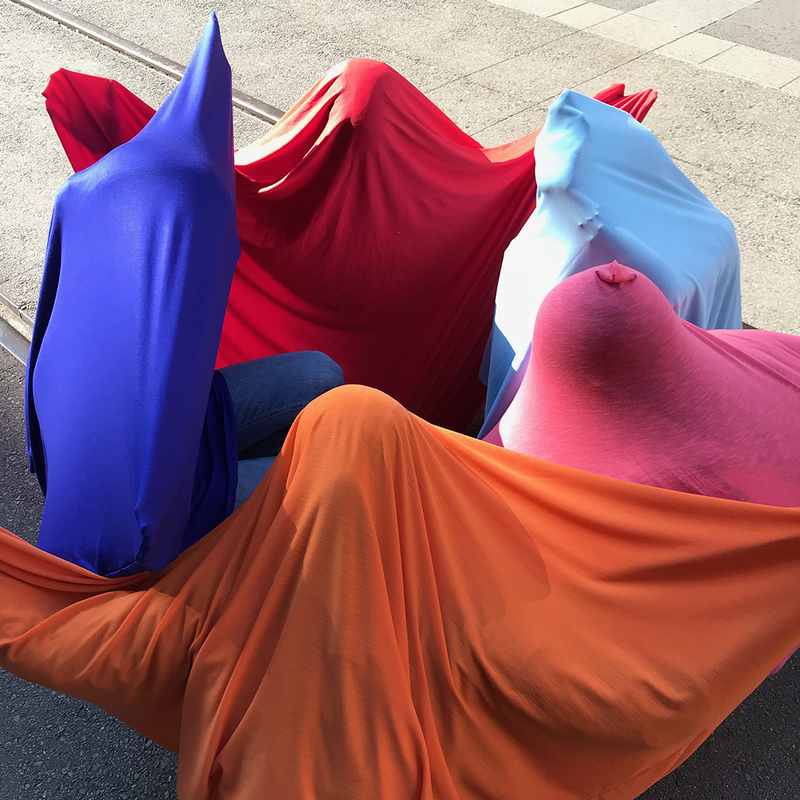 Informed by Scardifield’s work of mapping through textiles and the body, students have utilised their personal research and textile interests to develop site specific responses to the Goods Line pedestrian pathway. Their process was further informed by a movement workshop led by dancer and choreographer Brooke Stamp. These temporal public art works occured on Friday 20th April 1-3pm on the Goods Line.